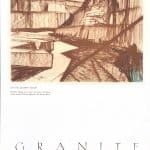 In 1930, architect and artist Ernest Born (1898-1992) made a series of 12 lithographs, including copies, for Westford's H.E. 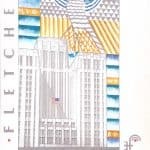 Fletcher Co. (now Fletcher Granite Co.), which was founded by Herbert "Hobbie" Fletcher in 1881. 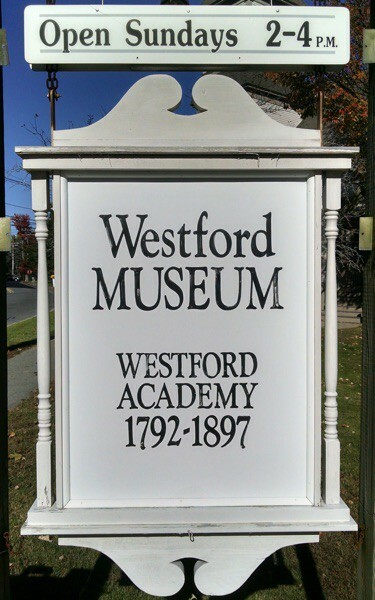 In 1930, the company addressed themselves at "West Chelmsford," which is now considered part of the village of Nabnasset. 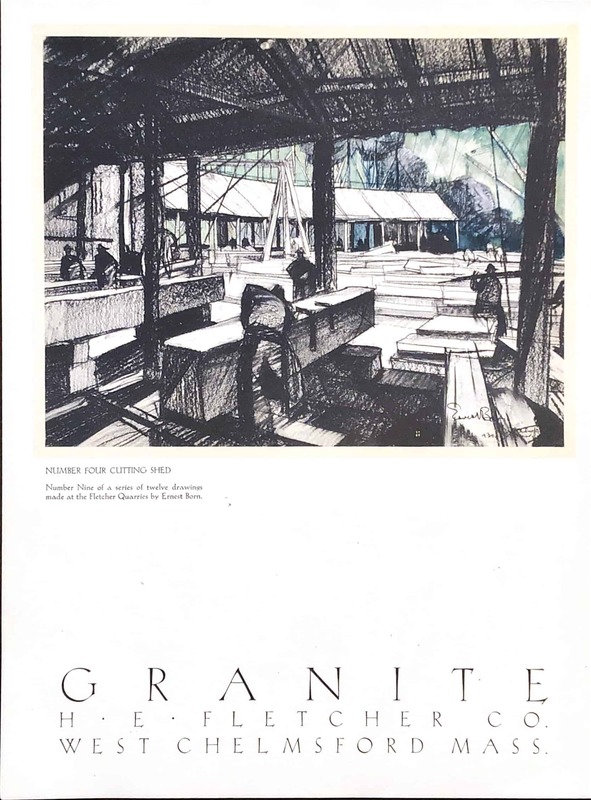 The lithographs highlight both local operations and their Chelmsford Gray granite around the country. 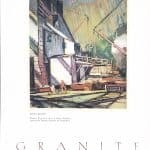 Well into the 20th century, Westford had granite quarries primarily on Snake Meadow Hill in Graniteville and off Oak Hill in Nabnasset. 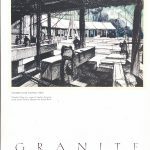 Fletcher Granite, off Oak Hill, is currently the only quarry still in operation in the town. Ernest Born was born in San Francisco, educated at Berkeley's School of Architecture, and ran an architectural office there later in his career. His wife, Ester, was also an architect. They lived in New York City in the 1920s and 1930s when there was a significant art community. 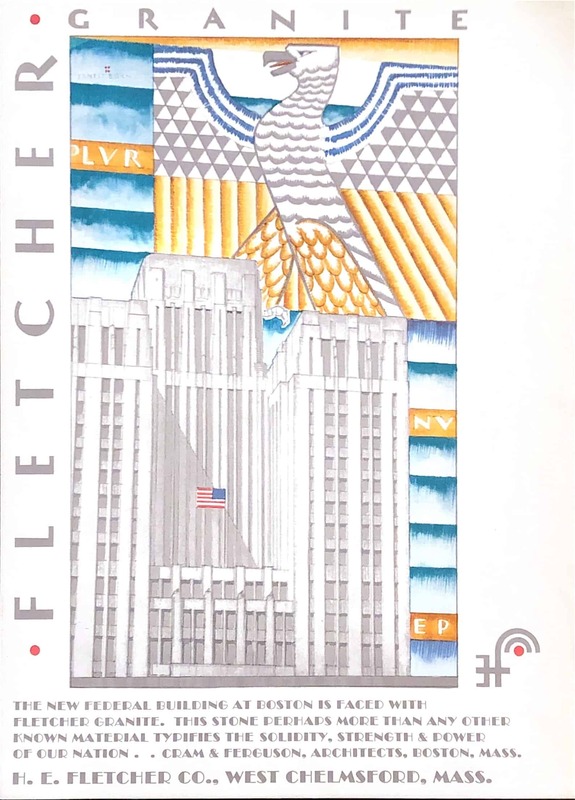 His lithographs also depicted such places as the Brooklyn Bridge and the New York Public Library, while his work for the Golden Gate International Exposition in 1940 established his reputation as an artist. 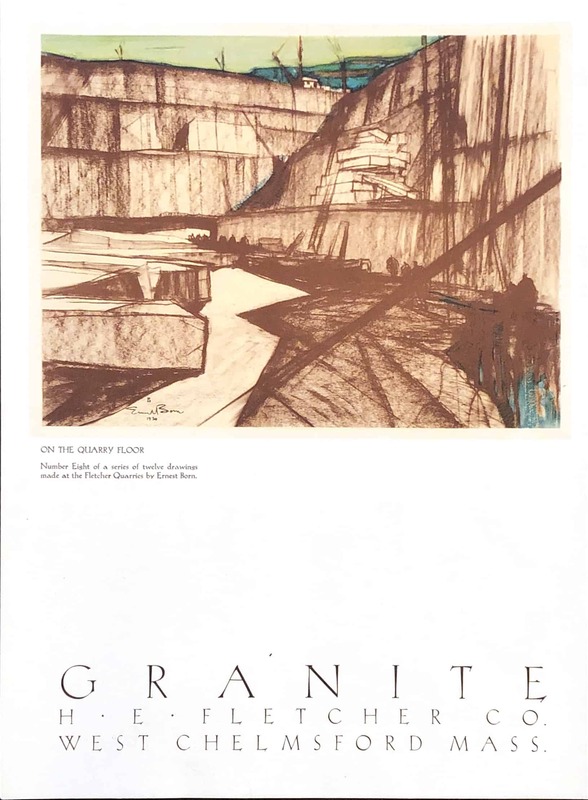 The lithographs were donated by Ruth Wyman of Westford. 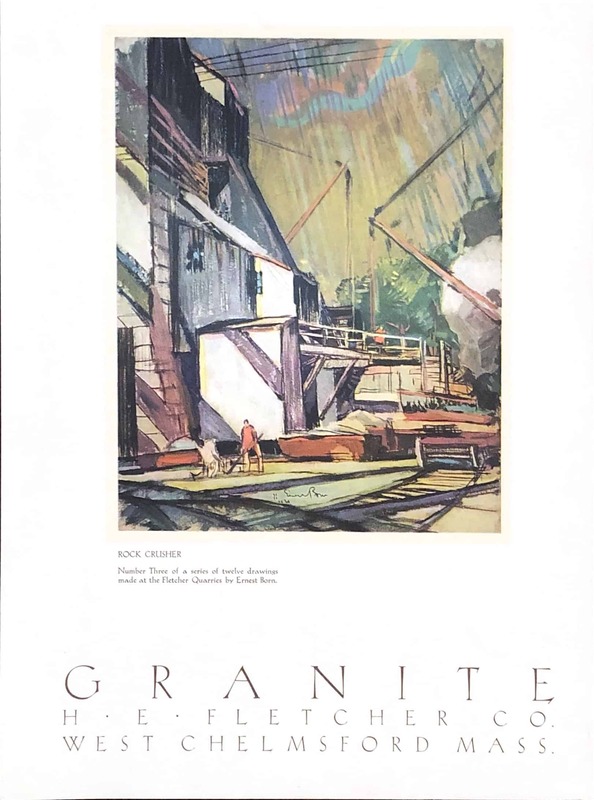 The overall archive was originally organized independently by granite historian Barbara Erkkila (1918-2014) of Gloucester, MA.